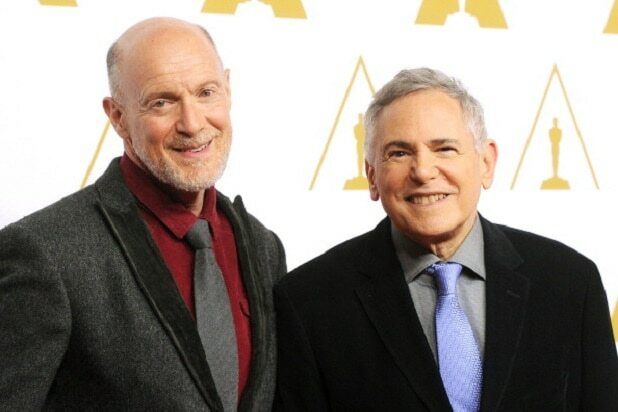 Craig Zadan and Neil Meron, the producing team behind the last three Academy Awards shows, will not be returning for next year’s telecast. The producers said on Thursday that they would not return for a fourth year, positioning it as their decision. The Academy confirmed to TheWrap that next year’s show would have different producers. But the news came on the heels of Tuesday night’s meeting of the Academy’s Board of Governors, which included a presentation from the AMPAS committee tasked with reviewing this year’s Oscar show. According to governors who did not want to be identified, this year’s show was not well-received by the board, making it unlikely that Zadan and Meron would have been asked back even if they had wanted to produce another show. ABC’s telecast of last month’s Oscars, hosted by Neil Patrick Harris, had the lowest total viewers in six years. The show averaged 36.6 million viewers and a 10.8 rating in adults 18-49 — declines of 16 percent and 18 percent respectively from last year. In fairness, the list of nominated films was light on mainstream hits, with “American Sniper” the only one of the eight Best Picture nominees to generate more than $100 million at the domestic box office. Zadan and Meron are the first producers to do three consecutive shows since Gil Cates did six between 1990 and 1995. Cheryl Boone Isaacs, the current president, is eligible for re-election. She is expected to win easily, meaning that there’s little reason for her not to begin searching for new producers immediately. Steve Pond contributed to this report.